It was with shock and sadness that we watched the tragic events on Monday evening when the iconic Notre Dame Cathedral in Paris was ravaged by fire. At the time all looked bleak but it now seems that much of the Cathedral survived, along with most of its priceless treasures, three rose windows and the great organ, although sadly the choir organ has been badly damaged by water. Long before this tragedy, we were planning to present a stunning choral and organ concert celebrating the marvellous music that has been associated with Notre Dame. In the light of recent events, we would like to offer this concert as a tribute to Notre Dame and its future rebuild. Let's hope and pray that this amazing building will soon be restored to its former glory. 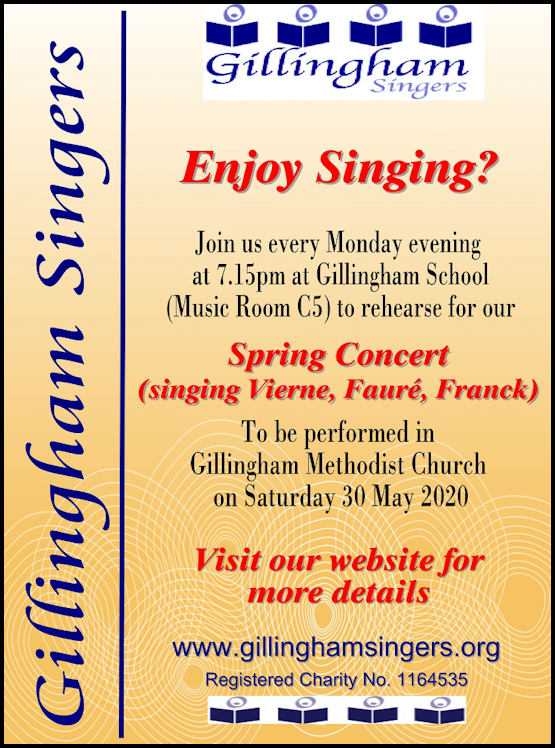 The Farrant Singers are the longest-established chamber choir in Salisbury, with close links to the medieval city, the surrounding Wiltshire villages and the Cathedral, where the choir occasionally sings the services in place of the Cathedral Choir. The group was founded in 1958 by the composer Richard Lloyd (then Assistant Organist of Salisbury Cathedral), initially to give performances of church music in the diocese. Conductors since then have included Mark Deller, Richard Shephard, Colin Howard and Daniel Cook. Andrew Mackay took up the baton as the current conductor in December 2011. The group currently comprises around 35 singers and its repertoire includes a wide range of sacred and secular music, spanning many periods and styles. The choir gives four large-scale concerts in Salisbury annually, performs in smaller events around the region, as well as providing the music at services, weddings and celebrations. The choir has also sung further afield, singing services at several cathedrals around the UK and touring to Ireland, Italy and Germany.